Cartrophen Vet has a history of over 20 years of safe use in the dog. Cartrophen Vet has a low incidence of side effects and of those they are mild and transitory. Based on commercial history, the number of adverse events reported on a per course basis (per 4 weekly injections) was 0.058%. Of total reported events, 50.9% were probably or possibly related to the administration of Cartrophen Vet. 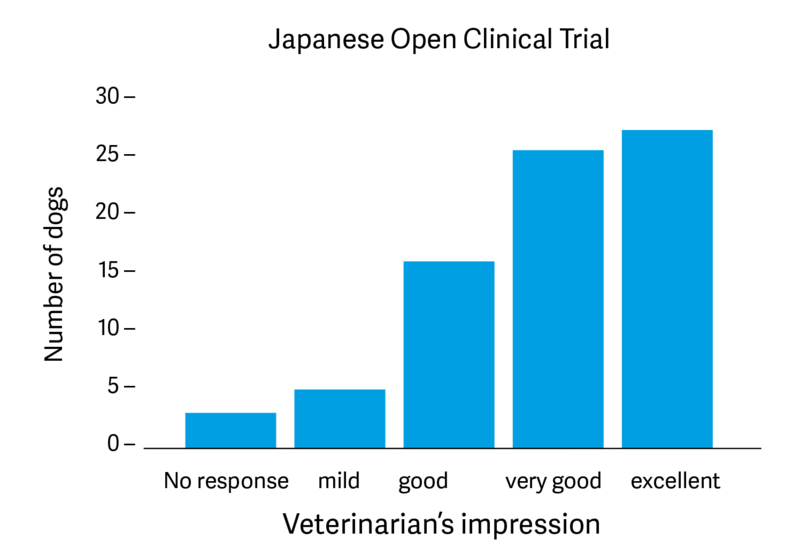 Hence the number of adverse effects reported that were possibly or probably related to a Cartrophen Vet treatment were 0.0296%. One adverse event reported per 3,300 courses (4 weekly injections). Is Cartrophen Vet safe to use with other medications? It is important to consult your veterinarian since there may be circumstances where they feel it is appropriate to use Cartrophen Vet and a non-steroidal anti-inflammatory drug (NSAIDs) concurrently. However, it is generally recommended that NSAIDs not be used concurrently with Cartrophen Vet due to their conflicting modes. Additionally, the pain relief offered by NSAIDs can lead to greater activity earlier than should occur given the progression of the healing process. The premature resumption of vigorous exercise can aggravate the disease. With pain responses between Cartrophen Vet and NSAIDs at one week following the commencement of treatment being similar, should immediate pain relief be required, a painkiller can be a better solution than the use of NSAIDs, which will not interfere with the healing process. In a comparator study between Cartrophen Vet and the non-steroidal anti-inflammatory (NSAID) carprofen, Cartrophen Vet was shown to have results equal or superior to that of carprofen in the relief of pain and lameness. This is the first time a disease modifying osteoarthritis drug (DMOAD) has been proven to offer significant pain relief comparable to that afforded by NSAIDs. Cartrophen Vet has a slightly slower onset of ameliorating effects but longer persistence of these after the recommended four-week course of treatment.